Here is a reading tip to help you become more accustomed to “real life” reading in the USA. Scholastic News has news stories that are written for kids and teens. The English is easier to understand. The stories are interesting, current and easy to read! Enjoy! Teen Sends Spiders Into Space! Here’s my favorite reading/vocabulary textbook to teach regular and business English students. 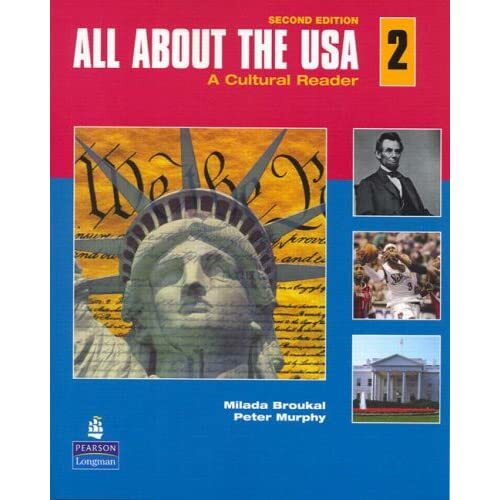 The title of the series is All about the USA written by Milada Broukal who is also one of my favorite ESL textbook writers. I like everything she’s created. Be sure to get the most recent 2nd edition.